I always get asked to make cheesecake for family parties or Sunday dinner. 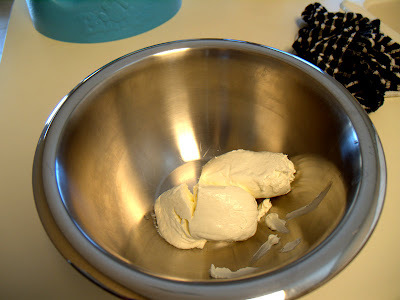 The recipe is the easiest thing around and it's really yummy. I personally don't really care for cheesecake, but that's why I like this one so much. It doesn't taste like normal cheesecake at all :) My family likes Cherry Pie filling on top, but chris's family likes strawberry, so test it out and make which ever you like, but I promise you'll love it. 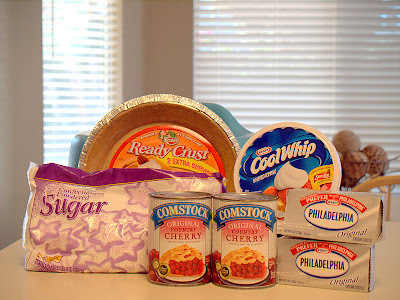 Powedered Sugar, Cool Whip, Cream Cheese, Graham Cracker Pie Crust, and Your choice of pie filling. Dump the 8 0z. 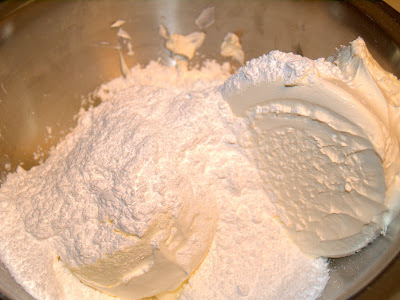 Creame Cheese, 1 cool whip container, and 1 Cup of powdered sugar into a bowl. 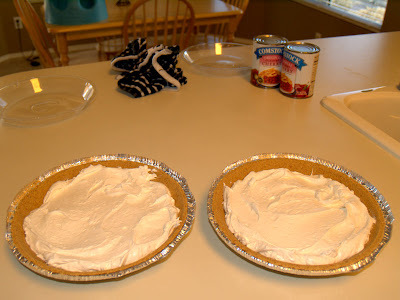 (just double if you're making 2 pies) Make sure the cream cheese is softened otherwise it'll be all lumpy. Then top it off with the pie filling and refridgerate for about thirty min. Told you it was so simple. Hope you guys enjoy it! Thanks for the recipe. 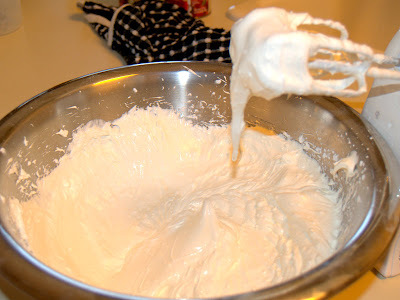 My boys love this cheesecake and I've been meaning to get the recipe from you. Yum I love love love cheesecake! Yum! 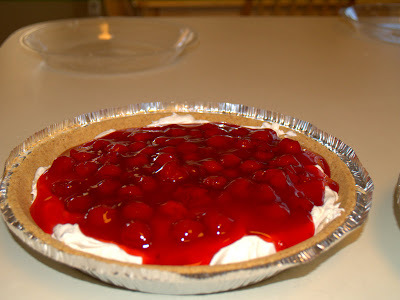 I'm gonna make this... cherry cheesecake has been my favorite dessert since I was little. This one looks so simple too! And by the way, you take amazing pictures! Mine is really easy too but slightly different than yours. It probably has more of a tang to it. 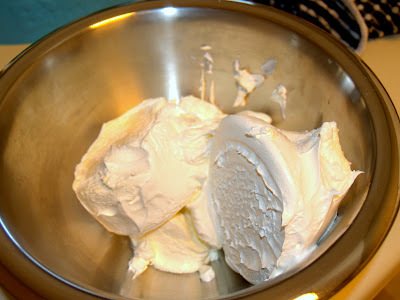 Instead of the coolwhip and powdered sugar I put in a can of eagle brand (too good...) and 1/3 cup(I think) lemon juice. If you ever want to try a variation of yours give that a shot. Just write me an email or something and I will tell you for sure how much lemon juice.